Register your interest now to participate in the Melbourne Stand for AIME 2020. 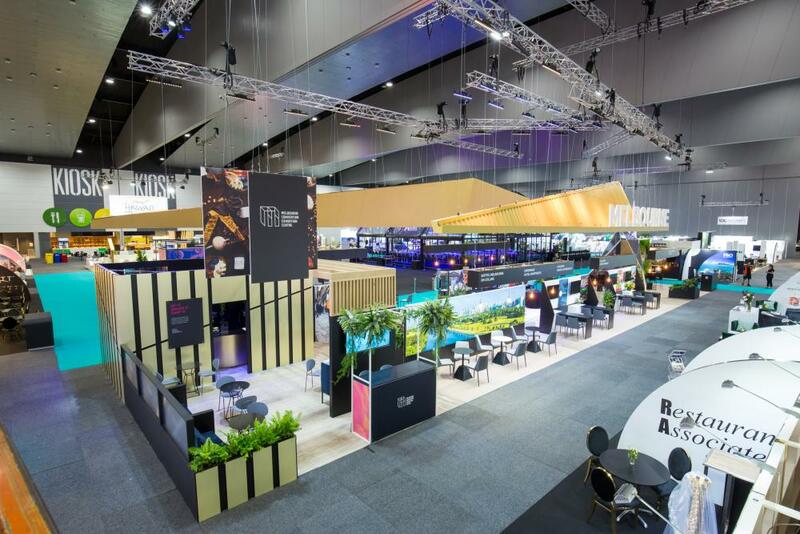 The brand-new Melbourne Stand was a showpiece attraction on the AIME exhibition floor attracting large numbers of buyers, media and visitors. High quality pre-scheduled appointments were held between Melbourne stand-sharers and buyers over the two-day exhibition, in addition to trade visitors dropping by the Melbourne Stand to speak with exhibitors about future business opportunities and enjoying the fun activations. MCB invites partners to register their interest to exhibit on the Melbourne Stand, to access the best available booth locations and early-bird rates for 2020. Participating partners will receive significant brand exposure through MCB&apos;s Uncover Melbourne marketing program to key international and national decision makers. In addition to being part of Team Melbourne at AIME 2020, key benefits include: access to the dedicated networking events; access to the AIME Knowledge Program and other marketing opportunities to showcase your products and services.